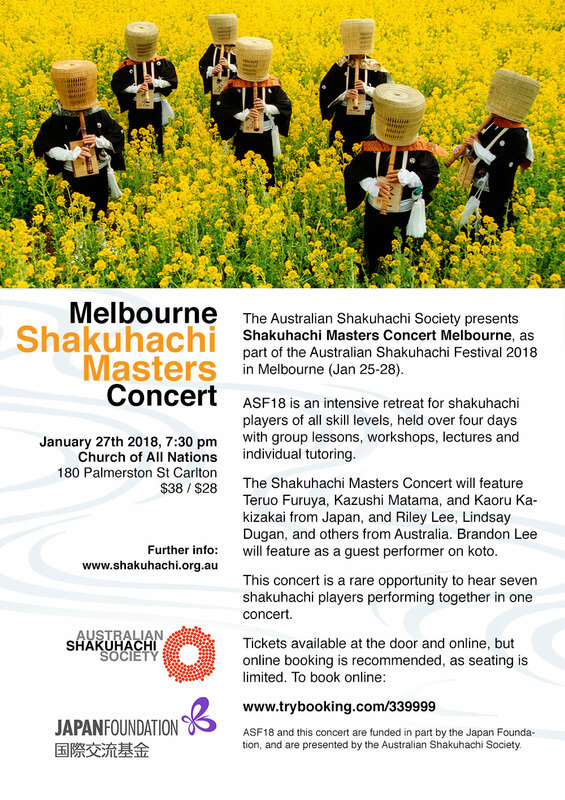 Shakuhachi Masters Concert Melbourne features renowned performers of the traditional Japanese bamboo flute including Teruo Furuya, Kazushi Matama, and Kaoru Kakizakai from Japan, and Riley Lee, Lindsay Dugan, and others from Australia. Brandon Lee will feature as a guest performer on koto (13-string zither). This concert is a rare opportunity to hear premier performers of shakuhachi and koto together in one event.